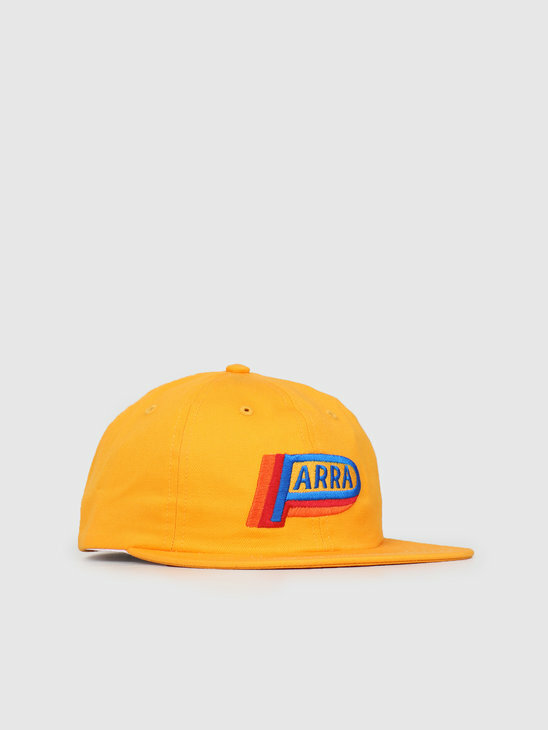 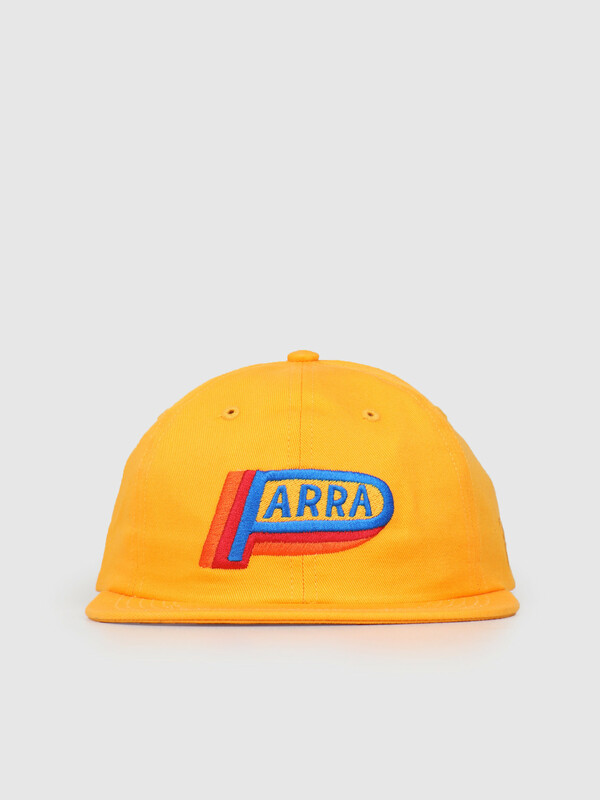 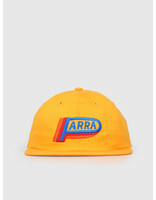 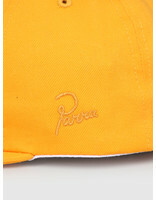 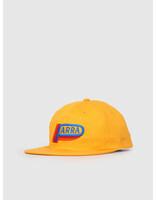 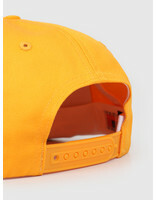 By Parra 6 Panel Hat Garage Oil Gold in yellow. 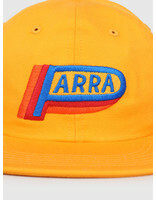 Discover the new collection from By Parra. 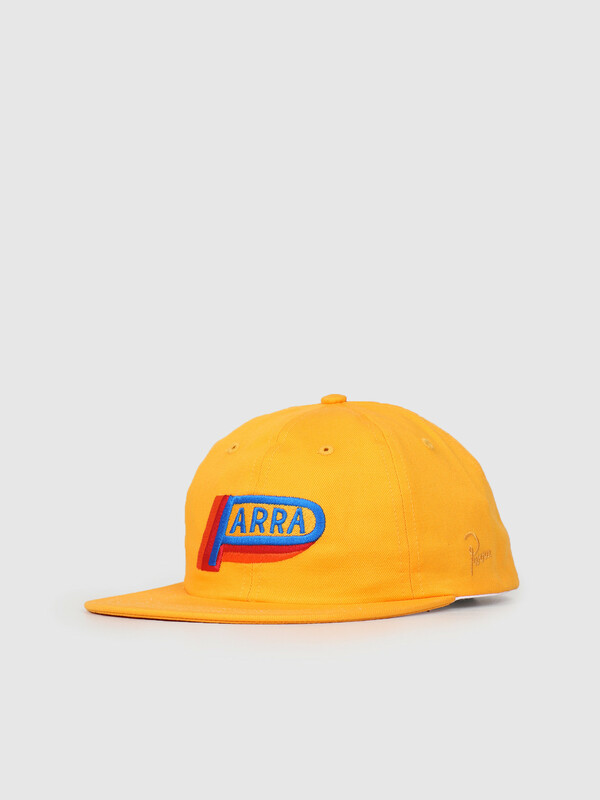 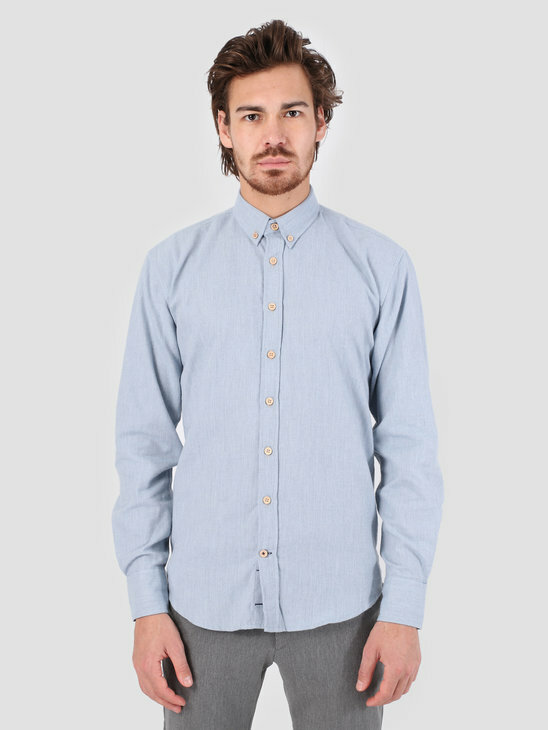 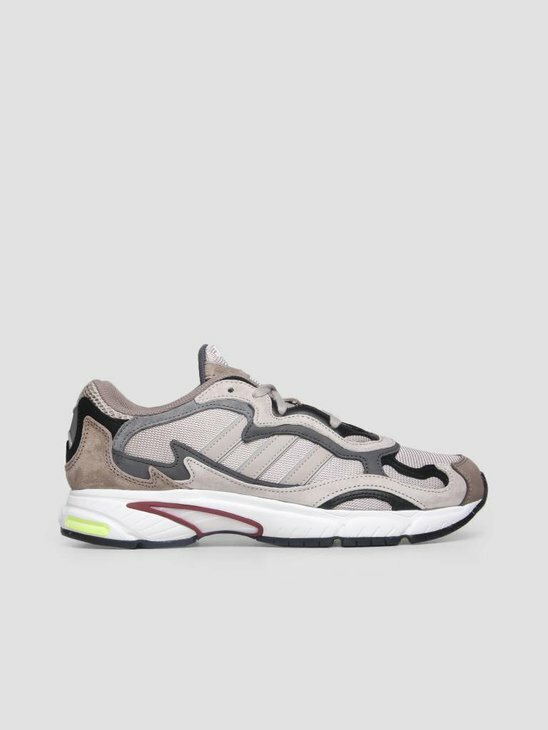 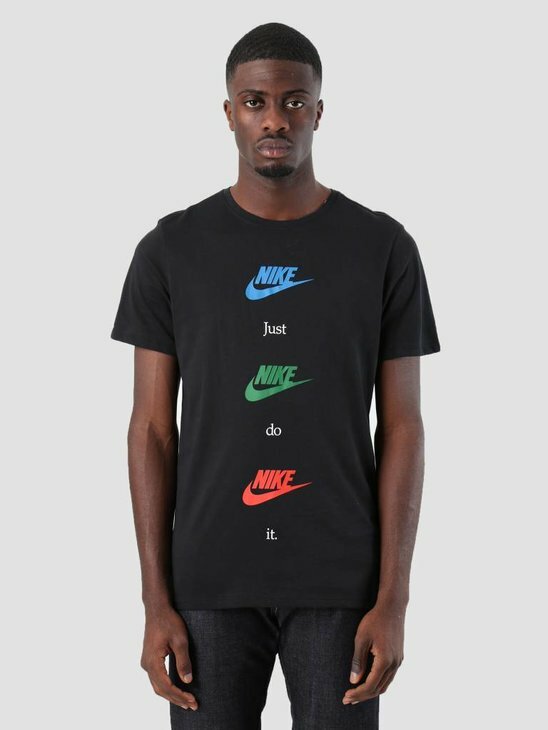 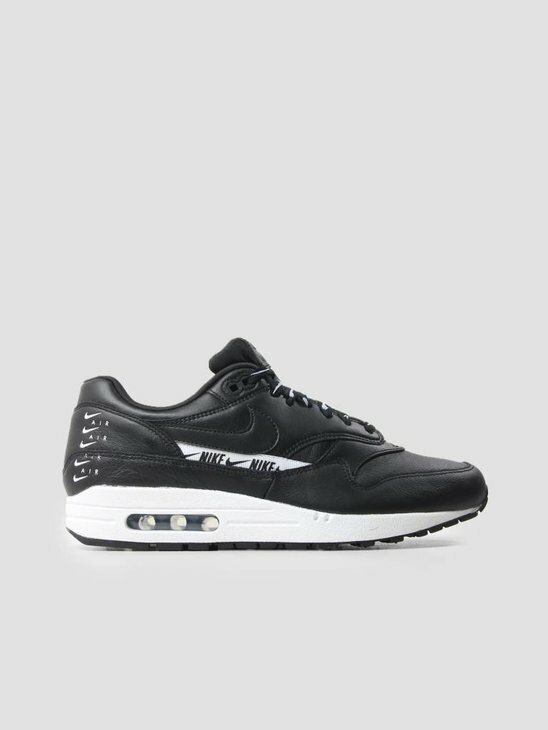 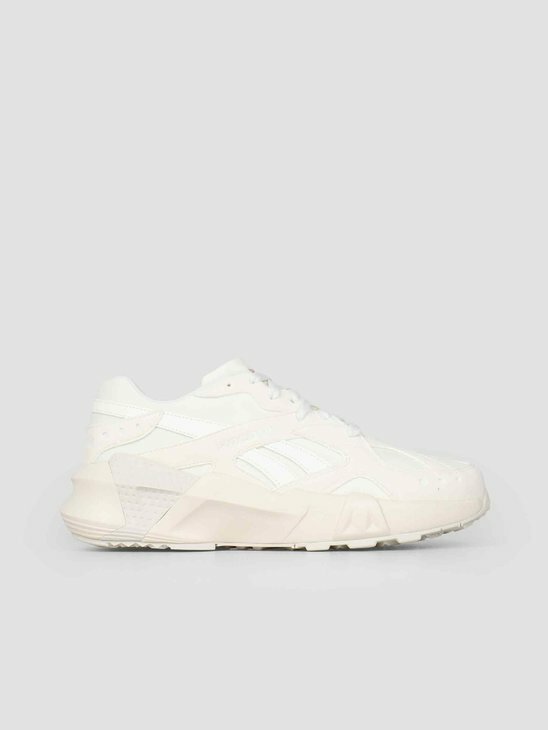 The Dutch artist had yet again dropped a cool collection. 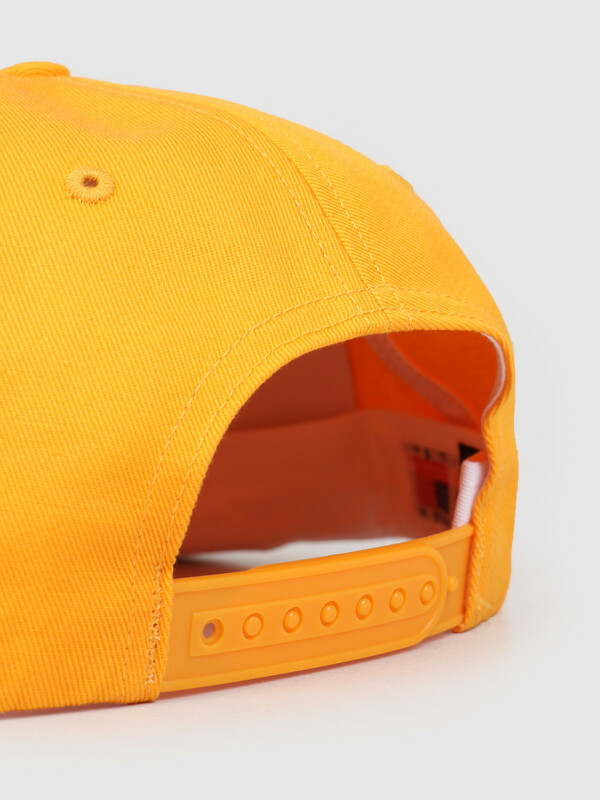 This is a summerly cap which finishes every fit. 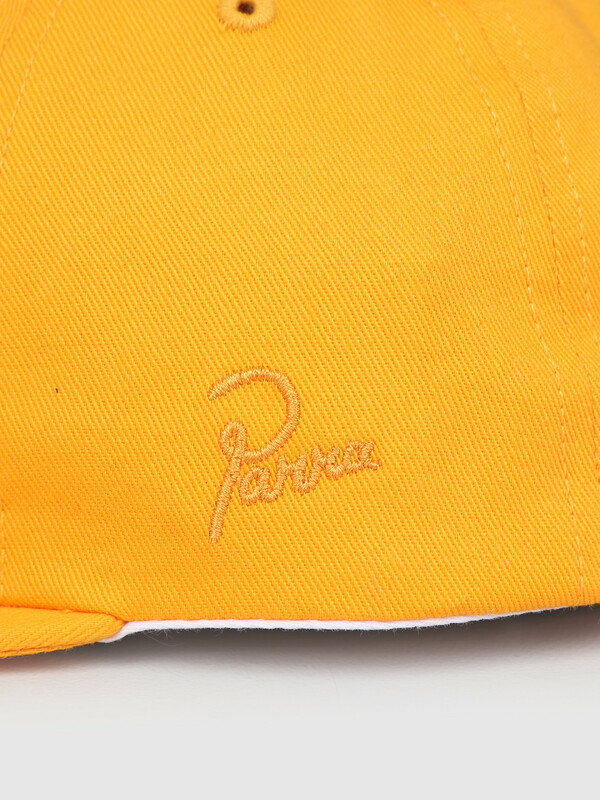 With a unique colored Parra logo embroidery on the front, in orange, red and blue, Flat visor and plastic closure, Finished with a Parra embroidery on the side.